We supply a range of remote climatic data monitoring solutions. 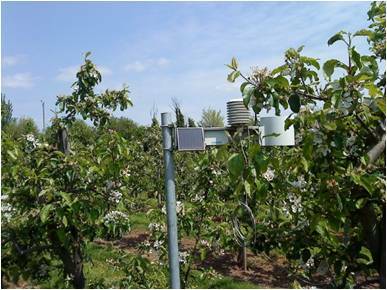 These range from standalone GPRS raingauges to complete precision weather stations with the high degree of accuracy required for meaningful disease modelling. We supply and support high quality Austrian made, Pessl weather stations. These precision stations can be used to record weather and make local weather forecasts. The data is collected remotely and viewable on any internet enabled device. They can be set up to send SMS message alerts for frost or disease. Disease modelling packages are also available see Disease Forecasting.